Unfortunately Wally340 is not completed, but we will make something pretty out of it today. Here are some last shots of our work. This design includes many parts that need to be printed many times. Make sure you first make a test print to see if your print comes out well. If not you could change either the settings of the printer or the dimensions of the part. The perspex that needs to be cut is sensitive. When we first cut it, some parts were bended and not accurate because of the settings of the laser. Perspex is not cheap, so first make sure the settings of the lasercutter are right! Try to order as much parts as possible at the same website. This will save you shipping and service costs. We did some hard work, so find us at our digital knitting stand on the Science Fair at the Faculty of Industrial Design today, 28th of November. Our fellow Minor students are presenting their projects just like we will. Tuesday the 28th of october we will be at the Science Fair with Wally 340. To show our results of this project, come see us! This last week we’ve been stressing a tiny bit because we don’t have much time left. Next tuesday, Wally 340 needs to be up and running. So we’ve been busy. Remember that red list we posted last time with all the parts that still needed to be printed and put into Solidworks? Well everything is printed and ordered now. There are only a few parts left to put in Solidworks. Everything is printed, we are working hard to finish everything in SW. The needlebeds: we edited this in solidworks, we enlarged the slides with 10 millimeters, but while laserprinting the perspex, it started to melt and bend. The bed started breaking when we were picking up the parts. The melted and bended perspex has influence on the strength of the neeldebed and the movement space of the needles. Perspex is not strong enough, with the enlarged slides, so we needed to find a resolution. We tried a different material; wood triplex, but we think that this will create too much fraction. We put the needlebeds together with the triplex bed and the result was not as perfect as we would have liked it. We tried to make one of the printed beds smoother with silicone spray, unfortunately it did not work out. As you can see in the pictures, the needles won’t slide back down. Without spraying the beds with silicone spray the needles do. So we will not spray them to make the needlebeds as smooth as possible. We want wally to work, so this is a big problem we need to solve. The frame: We completed the design of the frame. The frame needed to be rebuilt, stronger without moving when wally is knitting. For better stability we added aluminum plates. And for extra support we 3D printed little connecting parts. The bears: The bears we printed did not fit properly in the new frame. The new frame has some different dimensions. So we needed to make some small changes to make them fit. We will test all 3 different teeth in Wally, we expect that the white ones will work the best. These are printed very smoothly, without any flexibility. Building: We are finishing wally 340 tomorrow, we are building as fast as we can. The carriage and beds are finished already. Keep posted! 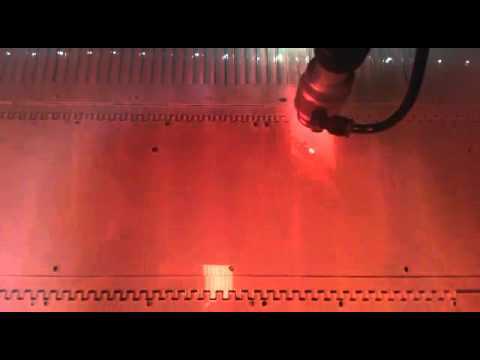 Here is a short video of the perspex needle beds getting lasered. Modelling all the parts in Solidworks is a reall task, but we are trying our hardest. While modelling all the parts in Solidworks, we also started making some of the assembles in Solidworks. Below you can see the frame and printing beds put together in one assemble, to visualize the look of the new Wally. One of the open-source goals we had to improve Wally was remoddeling all the parts in Solidworks instead of Googlesketchup so making changes will be al lot easier in the future. Next to that we are still waiting for many parts to be printed. 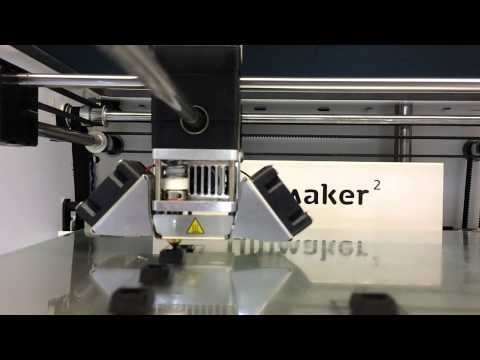 We have to share the Ultimaker 3D printers with many other students, so patience is needed. Here is a quick view of where we are today. As you can see getting everything in solid works is going pretty well. Printing takes time, but with a little patience we will get there;). So, we are quite busy working on Wally340. We’ve been remodeling, 3D printing and ordering all the material we need. Most parts were designed in google sketchup, this doesn’t give us the possibility to make changes in the design. For this reason we had to build the parts that we wanted to change in Solidworks. While working on this, we noticed how much time could have been saved when all the parts we needed to rebuild were made in Solidworks. So with the open-source mind, we decided to give ourself another challenge. We will try to redesign all the parts of Wally340 in Solidworks so changes can be made more easily in the future. We started 3D printing some of the parts with the Ultimaker. It is going to take a while to print all of them but we will get there! The teeth and bear heads were sent to the Photoprinter Objet Eden260 and are printed now. The Objet Eden 260 prints ultrafine 16 micron layers for exceptional detail. With this Photoprinter the teeth and bear heads are also printed in a much stronger and smoother material, this material can be related to acrylic plastic. In the images bellow you can see the Photo printer, the teeth with support material and the difference between ultimaker printed teeth and the photo printer printed teeth. Ordering the rest of the material wasn’t as easy as we thought to do in the time that we have. Most shipping takes 30 days where we have less then 3 weeks left. We found everything we need, and are now waiting for everything to arrive and all the parts to be printed so we can start building again. We will keep you posted. Hello, this week we are starting with some small changes in the design of Wally. We are enlarging Wally120 to Wally340, this means the machine will be using 340 needles (170 on each side) instead of 120 (60 on each side). Which means Wally will grow a little bit. While enlarging Wally we will also try to solve as many problems that we found so far. The needle beds that are used in Wally120 are 100×788 mm. Because we will use 170 needles on each side Wally340’s size needs to be 100x1738mm. We have lengthened the splits where the needles fit in with 10 millimeters for better movement of the needles. In the image below the design of the new needlebeds in SolidWorks is shown. Everything that comes in contact with the wool when Wally is running has to be as smooth as possible to minimize tension and vibration. We dont want any vibration because it causes Wally to make mistakes (gaps) in the knitwork. And nobody wants socks with holes in them. The parts that come in contact with Wally are now 3D printed, this doesn’t result in very smooth parts, so we will print the parts with a different 3D printer.. the photoprinter! Problem2 The frame that was created for Wally340 to stand on its own is not solid enough. Currently the connecting parts between the frame construction are 3D printed, which also creates too much vibration when Wally is knitting. So we will design the frame without these 3D printed parts. The construction will be created by alluminium x-profiles like in the images below on the left. The frame will be stable enough like this on its own. In the right image below you can see our new design for the standing frame. Problem3 The teeth that are used now are too tall, too thin and not strong enough. Which causes it to break more easily ( see image 1 below). We will design the teeth shorter so they won’t touch the needles when the machine is working(see image 2 below). And we will design them more solid to prevent them to break when the tight wool moves along them (see image 3). We will also print them with the Photoprinter so we can make sure it minimalizes the resistance between wool and the teeth when the machine is running. The 3D printed bear heads will also be designed a little bigger and printed with the photoprinter which we already explained in the previous weblog post.